Providing proper security for your business’s premises and personnel in Denver is one of the principal concerns of any business owner. Whether it is protecting your product from theft, protecting sensitive information, or maintaining the safety of your employees from criminal elements, the importance of good commercial locks and security measures cannot be denied. However, your security is highly dependent on your locks and doors being well-maintained and in good repair. No matter how sophisticated your security mechanisms you are, one faulty lock could be the integral chink in your armor that allows an intruder free reign to access everything you’ve worked so hard to build and paid so much to protect. Commercial locks tend to be a step above your average, residential locks in complexity and that level of complexity means that there are a number of ways they might malfunction. Broadway Key And Lock’s master locksmiths have the tools and expertise to assess and repair any malfunction or damage that may be compromising the security of your doors and locks. Whether it’s damage from vandalism, forced entry, or simple wear and tear from heavy traffic, we have the solutions you need to ensure you’re valuables and employees are always well protected. These locks require a visitor to be remotely permitted access through “buzzing in” and are often paired with an intercom or doorbell system to inform the responsible person on the inside that someone wishes to gain access to the premises. The two main types of malfunctions that can occur with these systems fall into two main categories: electronic and physical. 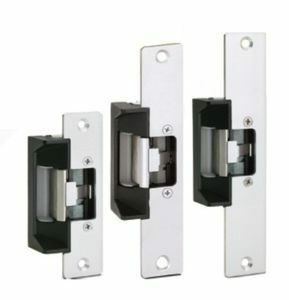 These can lead to a number of different issues that cause your door to fail to open, fail to close, or fail to lock. These locks use non-physical means of verifying a given person’s authorization to access a location. They often require passcodes or biometric information to gain access. 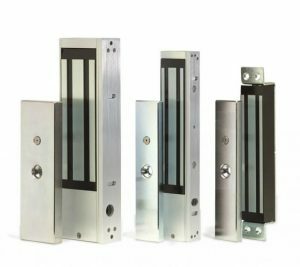 These locks suffer from many of the same physical and electronic malfunctions as commercial strike locks, but the most frequent problems with these doors often arise from dead or weak batteries. Another common problem is lockouts due to systems lacking an override function. These locks use a powerful electromagnet, often installed just above the door, to hold the door fast until entry is permitted. These locks often allow access via remote, keypad input, biometric data, or open automatically via a sensor, like the doors commonly found at grocery stores. Many of the electronic and physical problems that cause these door to malfunction are similar to commercial strike locks, such as inadequate or failing power supply, poor wiring, or physical wear/damage. 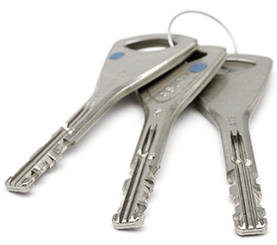 These systems employ keys that can only be cut by authorized locksmiths and require an authorized person to sign off on the new key before the work can be performed. This ensures that your business’ keys cannot be simply cut at any hardware store and adds an extra layer of security to your business. Aside from physical damage, the main way that these systems suffer complications is through lost or stolen keys. Normally the only way to fix this issue is to rekey the entire building. 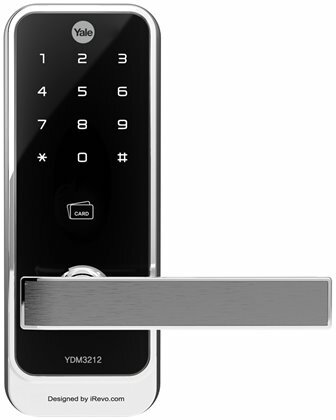 These systems employ a well-planned, tiered layout of keys and locks and that allow certain keys to open specific locks and other keys to open any lock within or under that key’s tier. These locking systems suffer from the usual physical malfunctions that come with standard locks and are relatively easy and inexpensive to repair. Could Your Commercial Locks Use Some Help? If your business’s security has been compromised by malfunctioning/damaged doors or locks and you would like professional help to assess and repair the problem, Broadway Lock And Key would love to help! Our master locksmiths have been providing quality locksmithing services to the Denver area for over 13 years and our reputation for honesty, integrity, and quality are second to none! Contact us today for your free consultation and estimate and find out why Broadway Key And Lock is Denver’s most trusted name in locksmithing!